Our organization is listed among the most trusted names that are engaged in offering our clients with premium quality industrial Water Softening Plant. Using these softening plants our customers can easily remove magnesium and calcium from water. 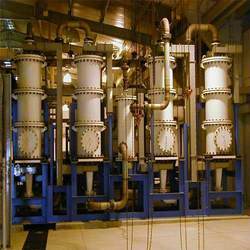 These plants operates on the principle of ion exchange and provide the user with soft and pure water. Plants are very energy efficient and results for the maximum transfer of energy. Owing to our industrial experience, we are able to offer Water Chlorination Plant to our valued clients. 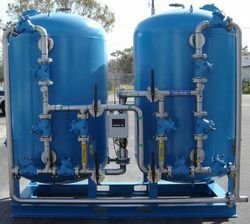 Chlorination process is used demolish the organic impurities and contaminants using the process known as oxidation. Our clients can avail these services at unbeatable prices and that too with an unmatched quality. With the help of this process, our customers can be protected by waterborne diseases.